The German IT trade group Bitkom has release a new report this week which shows that German's are adopting ebooks in droves. Sadly, the same cannot be said for ereaders. The leading reading device was not a tablet, not a smartphone, and not an ereader. 77% of respondents reported reading on their PC, with 58% saying that they read on a smartphone. Tablets and ereaders came in 3rd and 4th with 21% and 15%, respectively. That 21% positive response represents a spectacular growth rate when compared to last year. Bitkom's last survey, which was also published in the first week of October 2012, showed that 11% of Germans had read an ebook. Yes, adoption nearly doubled in a year. That is simply amazing, and it confirms the past speculation that the German ebook market is about to take off. On a related note, this latest survey also appears to confirm one of the theories I posed earlier this year. I suggested that we might see one or more ebook markets jump right past the phase where ereader adoption drives the ebook market and instead see that the adoption is being driven by ebooks read in apps. Frankly, I expect Australia to be one of the markets that shoots right past the ereader phase and goes straight to content. Yes, ebooks still make up a negligible market share but that doesn’t necessarily have anything to do with hardware adoption. A similar market trend appears to be happening in Germany. Far more people are reading on smartphones and PCs than ereaders, and in fact a survey from July revealed that only 7.4% of Germans owned an ereader. That's less than half of the number who read ebooks. You read it here first, folks. 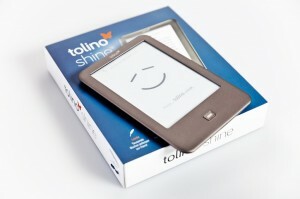 eBooks are increasingly popular in Germany but they're not being sold to ereader owners. OT: There seems to be a promotion for the new Kindle Paperwhite on Amazon.de until the end of November where Amazon Prime members can buy up to five KPW for 99 EUR per device. I wonder whether there is a similar promotion on other Amazon sites. Maybe you could check that? I think that deal is only happening in Germany. And I am looking into it.